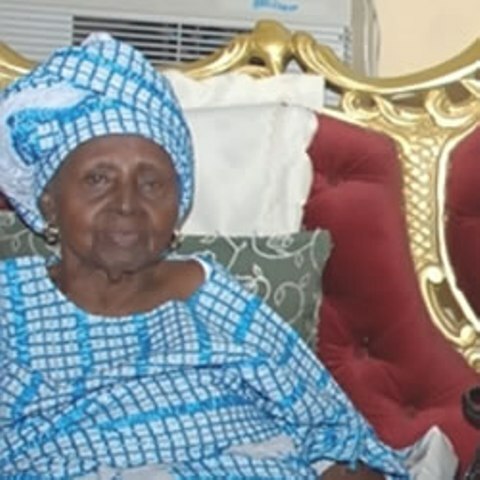 The matriarch of the Awolowo family, Chief Hannah Idowu Dideolu Awolowo, is dead. Mama, as fondly called by many, died on Saturday at age 99. Mrs Awolowo, wife of the late politician, Chief Obafemi Awolowo, died, yesterday, at 3:15 pm, two months to her centenary birthday. She was said to have passed on after she held a meeting with her family members on the plan for her 100 years birthday. Her eldest child who announced the death, Omotola Oyediran, in a statement she signed on behalf of the family, said: “Mama died while praying for her children over her planned centenary birthday”. “Mama died as glorious as she lived. She spent the day in the company of her children, grand children, great grand children and close family. She shared a precious few minutes with them when she went in to pray for them as they met to plan her centenary birthday. Mrs Awolowo would have turned 100 on November 25 this year.